So YOU Want To Enter WCS? So. 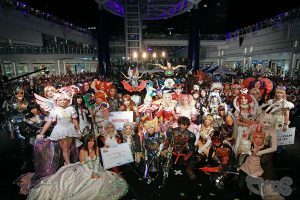 The UK Preliminaries for World Cosplay Summit are approaching fast, and in under less than 5 weeks next year’s UK representatives will be chosen! As one of this year’s representatives I highly recommend and encourage anyone who is interested in competing to enter – it’s an amazing experience and a fun-filled trip in Nagoya with some of the most amazing, talented cosplayers you’ll ever meet! No matter how long you’ve been into the hobby or what your reason to enter may be, as long as you’re enthusiastic enough about cosplay to go for it it’s worth giving it a try. The great thing about WCS is that everyone is there for the same reason: their love of cosplay! This post is a summary of advice I’m giving as a previous entrant, to show what you should expect from the competition itself. WCS is a huge contest, but a lot of entrants don’t know much about the competition until they get there – myself included! – so it’s worth giving some advice from my personal experiences, not only for future entrants from the UK, but for cosplayers across the world wanting to give it a go. Firstly – the hardest part of WCS isn’t the competition itself, it’s the preliminaries. There’s no point preparing for the finals if you don’t even know you’re in it! This is advice I’d recommend for anyone who’s qualified already for the finals but more importantly for the preliminaries – if you want to get in, you need a good approach. It’s all fine and well to make something that’ll look amazing and take months to craft, but if you don’t love the character or design there’s no point making it, right? If you love what you’re working on you’ll enjoy making it, and that’ll show on the final result. A complicated costume does not automatically win a competition. A well executed, well made costume does. Just because a design may be simple does not mean it can’t be made extremely well and take it to a competitive standard – consider every aspect of the design and polish it. Consider your fabric choices, finishing touches, makeup and effects – everything counts and the longer you spend perfecting your costume, the better it will look. Confidence shines through in cosplay competitions. Being arrogant isn’t great, but there’s nothing wrong with having pride! Being nervous is natural, but always be confident in your own skill – you are entering this competition to show your skill, so if you don’t believe in it, who will? Whether it’s a friend, family, partner, whoever – make sure it’s someone you like and want to be around! You might be going to Japan with them, so make sure you like them from the get-go. WCS takes a lot of time and effort so if you win, you’re going to have to work together so make it count! Once again, confidence counts for a lot in these sorts of competitions. Practice your performance. 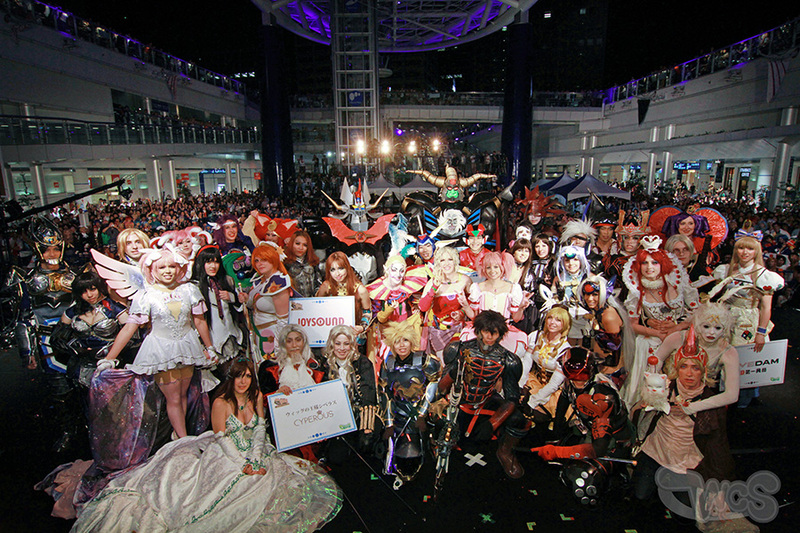 WCS stands for World Cosplay Summit, not World Costume Summit. 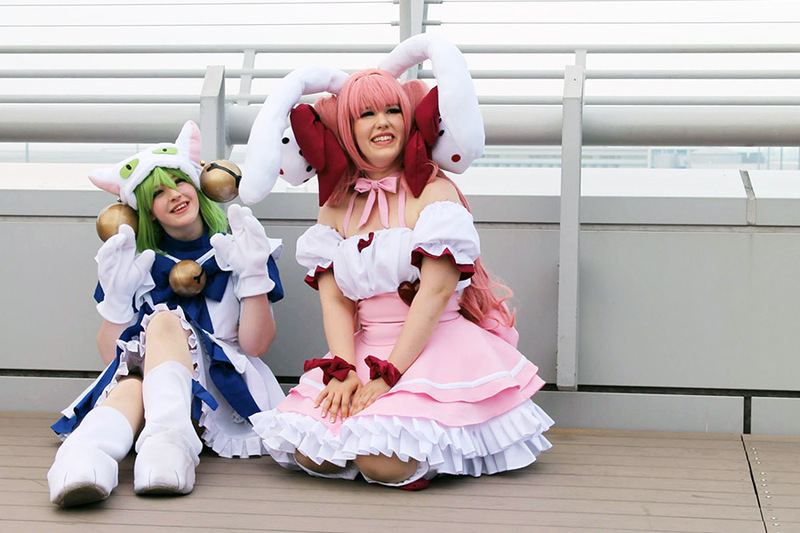 The ‘cosplay’ part is important, and it’s what WCS is all about! People want to see you perform! Your performance routine is one of the most important parts of your entry – make sure you consider what is going to look good on stage, reflects your costumes well and will be interesting to watch from an audience perspective. Having unexpected gimmicks always help too – try researching previous performances from WCS itself for inspiration! Keep in mind that this counts for everything on-stage and also throughout your stay in Japan – even if you only come up with a few, make sure you have some unique poses and moves to interact with – generic poses make your costumes look bland, so put some time into it and show them off as best as possible! Judging is easily one of the most important parts of the whole experience, so make it good! Typically you have a 5 minute slot to explain your costume to judges – sometimes split, sometimes each – it’s worth checking with organisers first so you can maximise your use of time. Make sure in your time you highlight the finest parts of your costume. Explain what you’re proud of on it. Explain the parts you had fun making. Don’t mention the parts you had issues with, or made mistakes on; the judges will see them much more if you point them out. If you struggled with parts, phrase it positively; “I drafted this 4 times to make it perfect” is much better to hear than “I messed up and made it 4 times”. Most importantly, keep the judges interested! Additionally, you may be required to make a progress book to submit for your costume (this is standard in the UK, but may not apply everywhere). Put some effort into it. This is the key that explains how you made your costume. Take photos as you go, explain the key elements, and put it together in a neat fashion. Include fabric samples if you can. Putting effort into every aspect makes not only the book look good, but you also look dedicated to your entry. That’s a good trait to have! Don’t be scared of the judges! Most of the judges for WCS preliminaries are cosplayers themselves – in the UK it’s tradition to invite the previous representatives as judges, so they know what’s up. Any judges that aren’t active cosplayers have probably been around cosplayers long enough to understand the effort that goes into making a costume. It is their place to judge you, and that can be intimidating, but it’s their job to judge fairly. If you don’t win, you can always try again. You are trying to get into a world-class competition and are going up against some of the best cosplayers in your country – of course it’s going to be a challenge! Don’t be disheartened and take it in your stride to learn from your experience, improve and try again! Now the basics are covered, here’s a little advice about WCS itself – and what to expect when you arrive. WCS is a huge responsibility. You’re not only representing yourself, you’re also representing your team, and you’re representing your country! So make sure you represent it well! You need to be prepared to appear on TV, go to planned shoots, feature in every parade and still keep a smile going long after the championship is over. WCS is not a one-day deal – most years it is a 10-day long trip where you go to different events, meetings and then do the championship. You need more than one costume for 10 days. Typically, you’re expected to take 3-4 costumes, so if you do win, you’ll need to plan more than just your finals: you usually take one for parades, one for press events, your finals costume for the championship and finally, and you have the option to take ‘additional’ costumes (as long as you have suitcase space)! Across the time from qualifying you need to plan each costume as something that’s appropriate, comfortable and suitable for Nagoya heat in blazing summer, and things you can (ideally) wear together. Your flights to Japan will be covered, but keep in mind you need to make all those costumes and prepare for an intensive cosplay holiday! I always advise to take as many essentials as possible with you, because you don’t know how difficult it might be to find what you need in Japan. You may also have to pay for extra luggage for your trip, which is not always covered by the organisers – it’s worth checking once you have qualified if you need to set aside money for extra bags on your flights. Don’t bother taking hairdryers or straighteners with you – the difference in voltage makes them useless. It’s worth setting aside some money to get some in Japan if you really need them (see, it all adds up)! Nagoya reaches temperatures of up to 40 degrees in summer. We Brits barely cope with 20 degrees sometimes. It IS hot and most importantly, consider your personal health before you go and ensure that any staff at WCS are aware if you have a health condition that might impact your trip. I have syncope which made coping with heat and dehydration pretty hard on some days, so make sure you take care of yourself, pack vitamins, keep hydrated as best as possible and take breaks if you need to! Kind of paired with taking care of yourself, make sure you’re prepared for extremely tiring, extremely hot cosplay wearing stints! You’ll be expected to wear costumes most days for at least 6 or so hours, so make sure it’s comfortable, easy to get in and out of, and ideally is made to deal with the heat. Nobody likes seeing a sweaty costume in action, and nobody likes wearing one either! You can get cool patches in Japan, but more importantly keep hydrated and ventilated in your costumes. Make sure makeup you take is long-wearing and can deal with heat, and ideally has SPF included. If not, take sunscreen. Literally prepare for every last thing you can imagine – you WILL need it. You need to keep face as part of WCS no matter the weather, and every event you visit has an audience. So practice posing together. Practice interacting together. Practice smiling together! The audience wants to see the best of you, and are there to see you so be excited to see them, too! We Brits love to complain, but this is an amazing once-in-a-lifetime experience and you should make the most of it. The people you meet will be lifelong friends. Everyone is there for the same reason, and everyone is as excited to be there as you are! Take pictures, videos, make sure you enjoy every last minute – it won’t last forever! I went into WCS not knowing what to expect, and this doesn’t cover everything, but if one thing comes across I hope it’s this: it takes a lot of preparation to enter WCS, and a lot of effort if you make it through. But it is totally worth it. The experience is like nothing else in the world! If you have any further questions, please feel free to send me a message and I am happy to help with any advice I might have.